NEW YORK, Dec. 10, 2018 (GLOBE NEWSWIRE) -- HC2 Holdings, Inc. (“HC2” or the “Company”) (NYSE: HCHC), a diversified holding company, announced today that it will participate in the 6th Annual ROTH New Industrials Corporate Access Day being held on December 11, 2018 at the Lotte New York Palace in New York City. HC2’s executive management team including Philip A. Falcone, Chairman, Chief Executive Officer and President, Michael J. Sena, Chief Financial Officer and Andrew G. Backman, Managing Director of Investor Relations and Public Relations will be participating at the conference. (949) 720-5700 or e-mail: registration@roth.com. HC2 Holdings, Inc. is a publicly traded (NYSE:HCHC) diversified holding company, which seeks opportunities to acquire and grow businesses that can generate long-term sustainable free cash flow and attractive returns in order to maximize value for all stakeholders. HC2 has a diverse array of operating subsidiaries across eight reportable segments, including Construction, Marine Services, Energy, Telecommunications, Life Sciences, Broadcasting, Insurance and Other. HC2's largest operating subsidiaries include DBM Global Inc., a family of companies providing fully integrated structural and steel construction services, and Global Marine Systems Limited, a leading provider of engineering and underwater services on submarine cables. Founded in 1994, HC2 is headquartered in New York, New York. 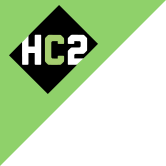 Learn more about HC2 and its portfolio companies at www.hc2.com.